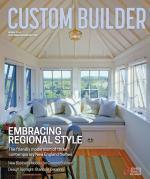 A compilation of HousingZone's articles, surveys, ideas, trends, and tips on cabinets for residential builders, remodelers, and architects serving the residential construction industry. Häfele America's three new wine storage products were designed for flexibility and style. Dura Supreme Cabinetry has launched a new selection of stains. Rocky Mountain Hardware has added 29 new knobs, pulls, levers, and grips to its portfolio of cabinet and door handles. The SmartCab storage system from Häfele America Co. is designed to maximize use of narrow cabinet areas in the kitchen. The recession has had a major impact on kitchen design. Gone are the ornate and formal styles with travertine marble flooring and intricate decorative trim. Clients today are moving toward cleaner-looking cabinet faces and richer, more rural themes. These are among the latest trends in kitchen design. Open up to these brand new cabinets from Timberlake, Armstrong and more. Here is a look at cabinets and countertops from Omega, Yorktowne Cabinetry, Timberlake Cabinetry Co., Plain & Fancy Custom Cabinetry and Formica, among others.